I took this one as he walked though the crowd letting everyone hug him and take photos! What a great guy!! 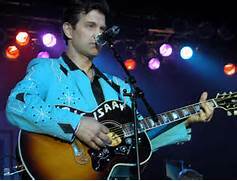 I had the chance to see Chris Isaak here in Las Vegas, at first I asked my concert buddy Tanya, but we thought no ..she is travelling too much and he is doing his new stuff we have not heard but then my hubby called me and said "Hey Isaak is in town get us tickets and I will go with you"...so I did...then he decided racing in California was more important so Tanya went with me anyway..thank you so much Tanya you are the best!! She picked up the slack and we went and had the best time, she got us better tickets because they moved my tickets and those seats sucked so she she dragged me to the box office we ended up with front row seats of a certain section and it was great! His music never gets old, his music is classic...so smooth. He played a couple new songs and we loved them, lots of good old stuff from Johnny Cash and Jerry Lee Lewis, Roy Orbison. He walked through the crowd and stopped to take photos with who ever asked..what a show man! 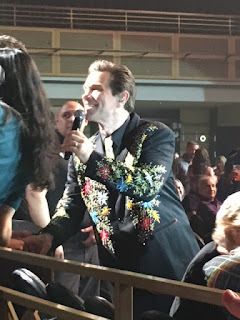 When he introduced his band he has been with since 31 years ago it made me realize that me and my sister have seen him for about 30 years!! Still sounds great, still looks great...if you ever see him come to your town ...run and get tickets, you will not be disappointed!!! Great show every time! Tanya jumped right in and made the best out of a bad situation.....She brought me some goodies from her Santa Fe trip with her folks, gorgeous turquoise rings and a teal cowl that is to die for more on that in the winter! Oh and my coffee cup from Denver, wow!!! San Diego - our annual July trip! 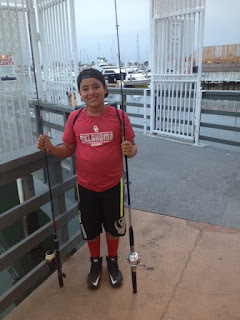 Every year for about 4 years now Charlie and I have gone to San Diego for Padre games, just a little weekend get away..last year Charlie wanted to take Ethan (grandson 12 years old now) so they could go ocean fishing, they had a blast last year and they caught a 26 pound tuna! 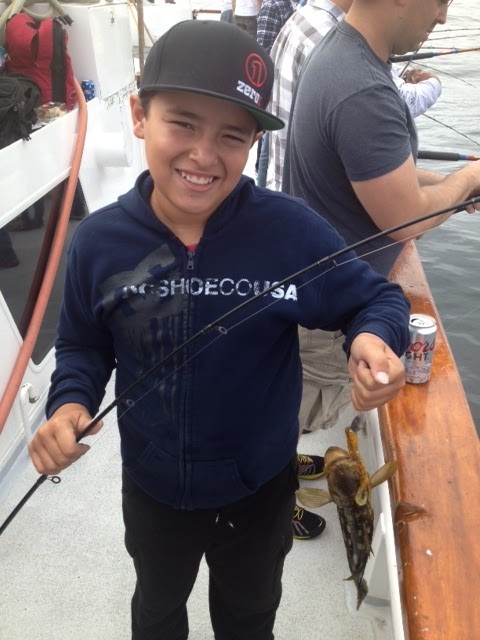 So we decided we would take him every year...Baseball and fishing, life is good. We took off for San Diego on Friday, took us 5 hours to get there, traffic was super light! We had a room at the Courtyard Marriott on 6th and J street. Great location, Petco Park is just two blocks down one block over, 5 minute walk. The seaport village for shopping and restaurants is just 4 blocks down to the water around the convention center. The hotel was nice but they have no restaurant, just a starbucks for morning coffee and snack, also they do not have a pool or spa, which is where I like to hang out while they fish on Saturday. 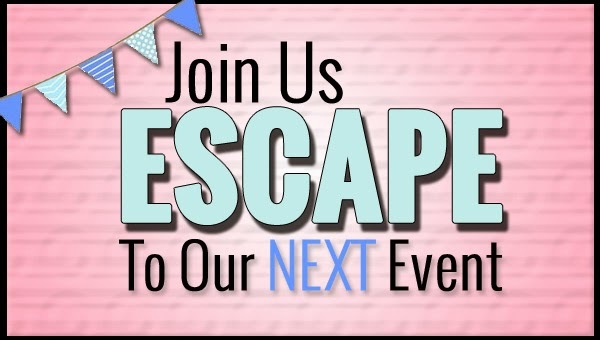 So we will go back to the Hilton on the bay next year! That place was awesome! Friday after we arrived we walked down the the seaport village and had early dinner at the Harbor House, the ahi tacos were fabulous! Then we walked to the Park and saw the Padres beat the Giants. Saturday morning the boys left at 4;30 am for their fishing charter, they fished until noon and caught lots of fish, they caught and released. 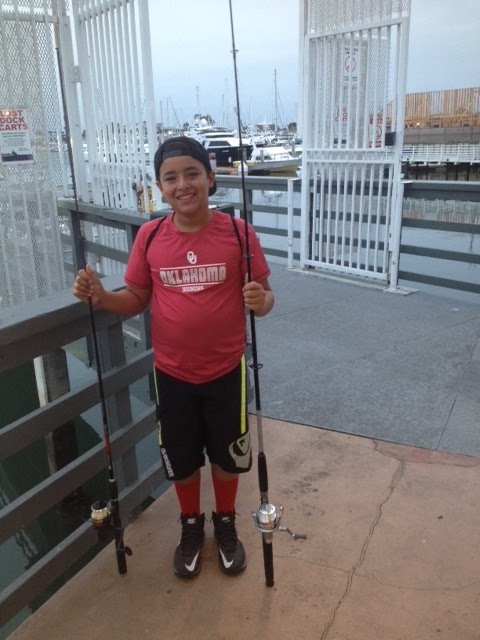 No big tuna this year! I walked to the village and went shopping and just strolled the boardwalk, such beautiful weather! 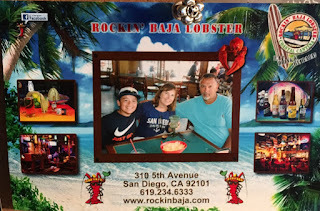 They got back and showered and we had an early dinner again this time at Rocking Baja Lobster, the lobster bites were so good and Charlies nachos were Humongous!! 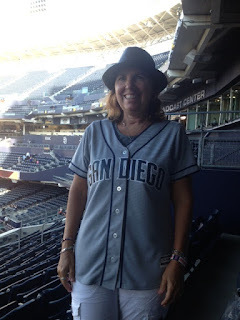 We headed to the ballpark and saw the Padres beat the Giants again!! I rooted for San Diego while Charlie rooted for his guy Buster Posey on the Giants! Ethan was happy playing in the whiffle baseball game with all the kids in the park area! Sunday we got up and went to the Broken Yolk restaurant right down the block, wow, that place was good, I had a breakfast quesadilla, it had black beans and chorizo...oh I miss it already! I can't wait for next year to get here! Wish I had some exciting news to share but summer is kinda boring. 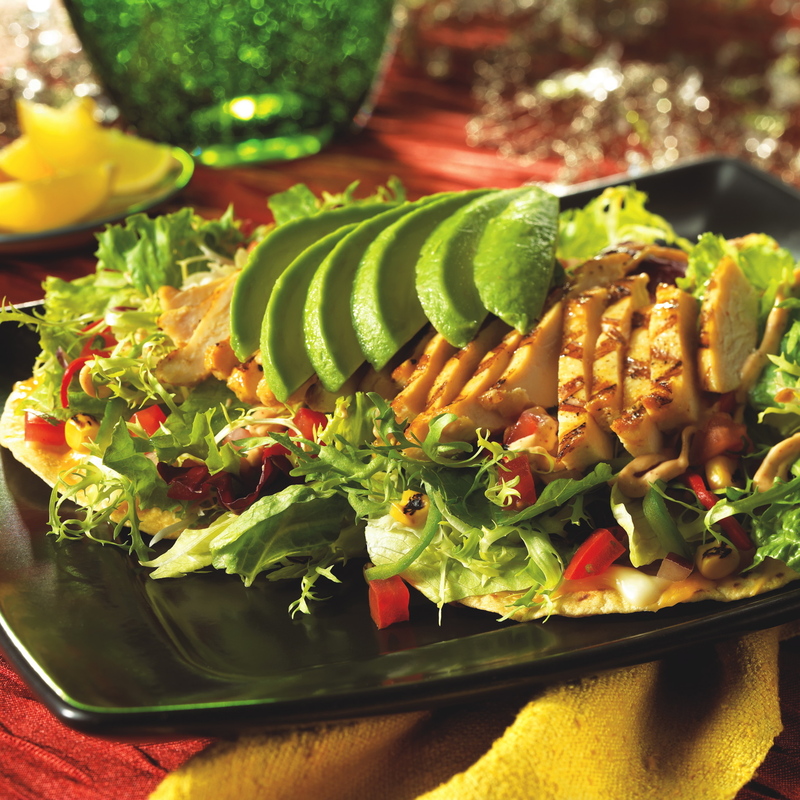 I have been playing in my pool almost everyday, making light meals, no new recipes. 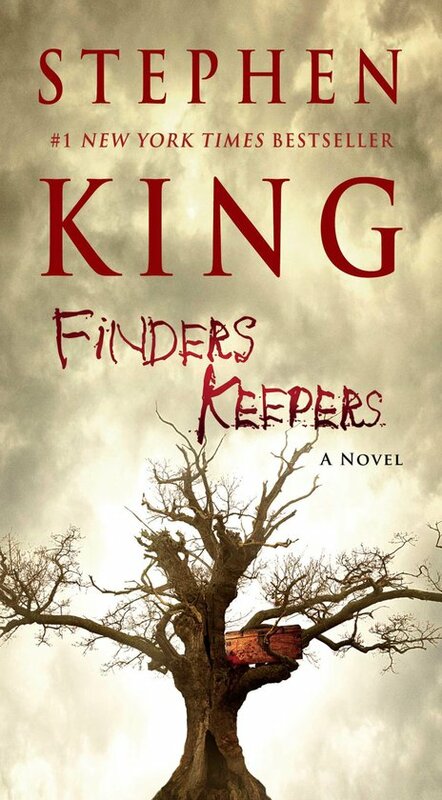 I have been reading again, picked up some new Stephen King books, Revival and Finders Keepers. 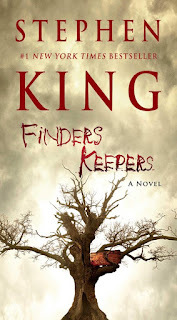 Finders Keepers, was really good. 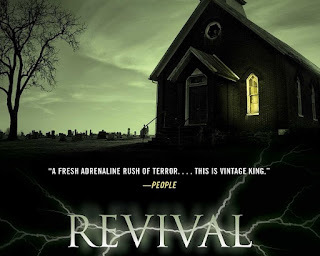 I let you know about Revival when I finish it. Revival was really good, just like one reviewer said: "Vintage King" if you like the old stuff this is right in there! I am also in the process of sorting through about 3000 photos we all took on our cruise, trying to whittle them down into scrapbook page categories, I need about 20 photos to choose from for each page layout. It is quite the process, but I figure I am half way there, then I will only print out about 200 pictures, just the best ones for the pages! These 3 pictures will be on my front page! Many times when I am traveling people will ask about Las Vegas, once they find out I live here. Most of the time they ask "Where is a good place to eat?" Well, with 3000-5000 places to eat here in town, it's a tough call. 1. 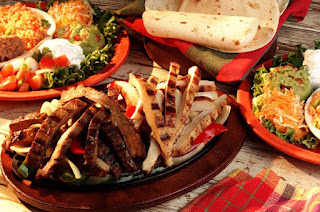 Lindo Michoacan on Desert Inn, east of Eastern, you want great service and homemade mexican food? This is the BEST! 2. Claim Jumper in Town Square, 215 and Las Vegas blvd. Happy hour in the bar is the best, cheap eats that will fill you up and they usually have baseball on! 3. Cheesecake Factory by The District, Green Valley Parkway. The ahi steak in here is the bomb! Hubby has to have a slice of vanilla bean cheesecake every time, so we limit our visits to save his waistline from growing! 4. Lucilles at The District, Green Valley Parkway. Best bbq, hands down, but they have other great things, I love the fried chicken and the marinated sirloin sliced with a special gravy on it...sooo good! 5. Trevi in Caesars palace, for some reason this little spot has become a favorite place to sit and watch the tourists, plus locals get a discount and the lasagna pizza is out of this world delicious, you have to try it to believe it! 6. Ventano's up on a hill in Henderson, Horizon Ridge and Valle Verde. Go for the shrimp on the stone if you only order that, you will die happy. Great Italian place! 7. Grand Lux Cafe in the Venitian, sit on the patio (indoors) by the railing and watch the people come and go, no better entertainment in the world, plus the food is gourmet but reasonably priced! 8. Tides in the Green Valley ranch resort, sit at the bar and order shrimp cocktails, and caesar salad, you can also get fresh sushi made right there in front of you, a bowl of clam chowder here in the winter is the best in town! 9. Cafe at Green Valley Resort. Breakfast is always good, they have a BLTA, Bacon Lettuce, Tomato, and Avocado sandwich! 10. 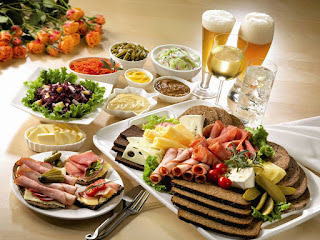 Buffet? Everyone wants a buffet every now and then..I only suggest the Buffet at Green Valley Resort again, and only on Friday night, seafood night, all the crab legs and shrimp you can eat, yummy!